Bac Ha is the largest and most colorful market in the area.Every Sunday morning many different ethnic group such as : Flower H'Mong .Phu la, Black Dao, Tay..people gather to buy and sell local product thac can not be found eslewhere . After having breakfast in a hotel we embark on a lovely trek that will take us along buffalo paths and trails and through several hill tribe villages Y linh ho - Lao Chai & Ta Van, home to Black H'mong, and Dzay people. This is an absolutely spectacular walk through stunning scenery inhabited by some of the friendliest people you can meet. Once on the valley floor you can really appreciate the wonderful scenery that surrounds you. The walls of the valley are covered with multi-layered rice terraced fields and scattered villages. Return to Sapa and then to Lao Cai railway station to get night train to Hanoi. The guide sees you off at Lao Cai train station and takes you on the train. - Pick up and transfer By Group tour program. You can check some info in network , or on Tripadvisor, if Organizer is good review , you should choose it , Or book a your hotel travel desk , you can bargain price with them. Leave commend if you have any question . 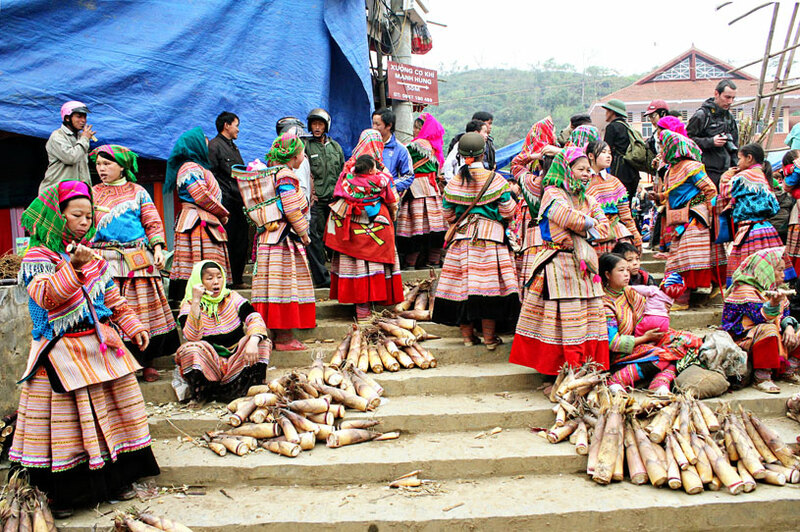 This tour will bring you to Lao Chai, Ta Van, Ban Ho, Su Pan and other villages of the Sapa ethnic minorities. 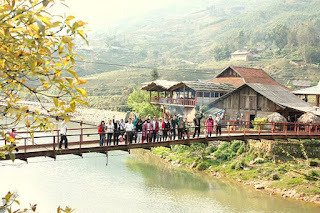 You will arrive at the Lao Cai Station between 5-7:30 AM. bus guide and transfer to Sapa town. After having breakfast and a shower, you will leave your luggage in the luggage storage room to prepare for your trek. You will only need to bring a change of clothing, trekking gear and toiletries for your stay at the village homestay. 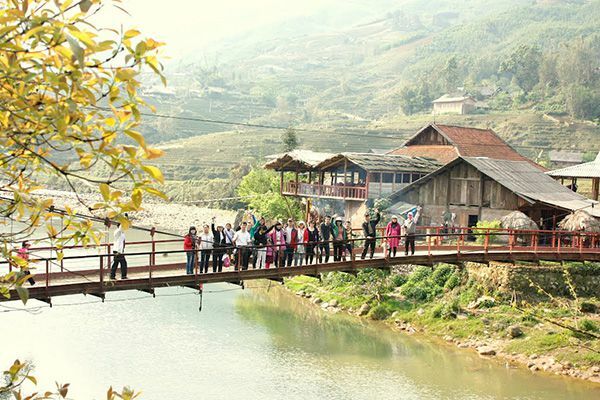 After having breakfast in the village homestay, you will trek to Su Pan, the last village you visit on your trip. You will be amongst the terraced rice paddy fields and will have the opportunity for a dip in the river before being picked up for transportation back to Sapa. When you arrive in Sapa, you will have enough time to freshen up with a shower and have dinner in the Sapa Summit Restaurant before catching the bus back to Lao Cai for the night train to Hanoi. please contact us if you have any question . After having breakfast in a hotel we embark on a lovely trek that will take us along buffalo paths and trails and through several hill tribe villages Y linh ho - Lao Chai & Ta Van, home to Black H'mong, and Dzay people. This is an absolutely spectacular walk through stunning scenery inhabited by some of the friendliest people you can meet. Once on the valley floor you can really appreciate the wonderful scenery that surrounds you. The walls of the valley are covered with multi-layered rice terraced fields and scattered villages. Return to Sapa and then to Lao Cai railway station to get night train to Hanoi.The guide sees you off at Lao Cai train station and takes you on the train. Pick up and transfer By Group tour program.